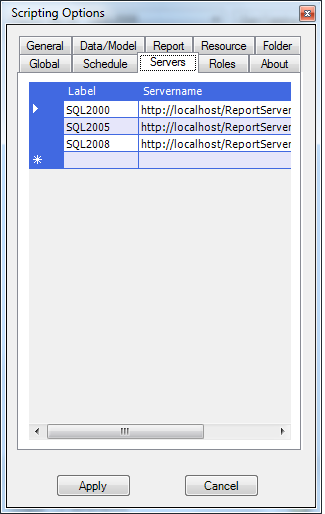 I am here to write a simple article to move SSRS (SQL Server Reporting Services) reports from one server to another. When I have faced the same issue to move reports those were developed by developer on development server and now need to be moved on production server. 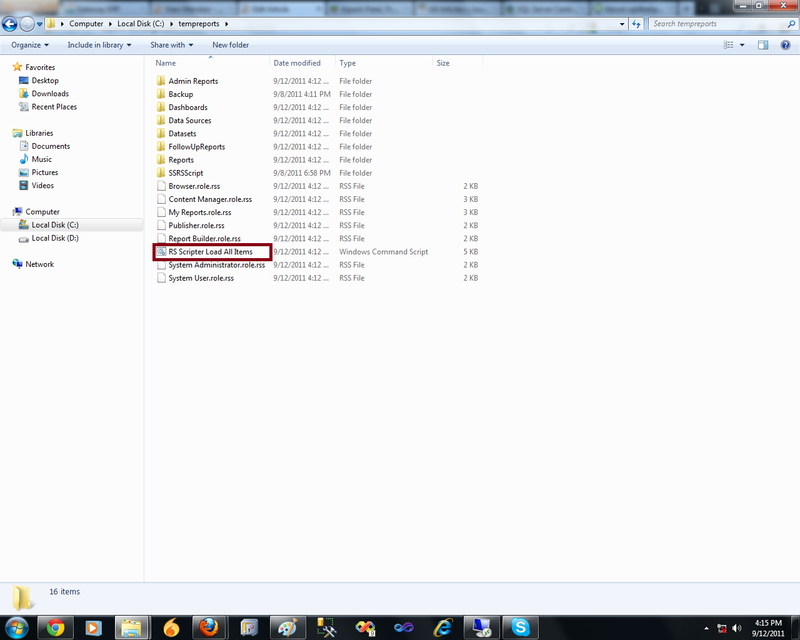 I have tried many ways to move report to productions server. But, all are routine work to publish from BIDS to server. 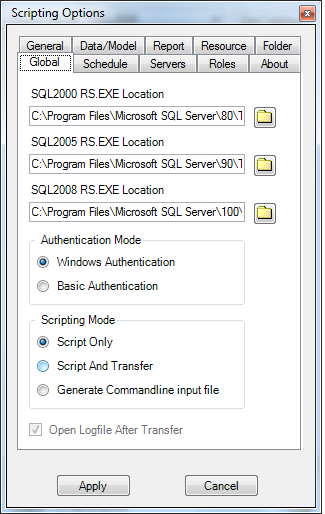 However, I need the easy way to move all reports from Development to Production server. 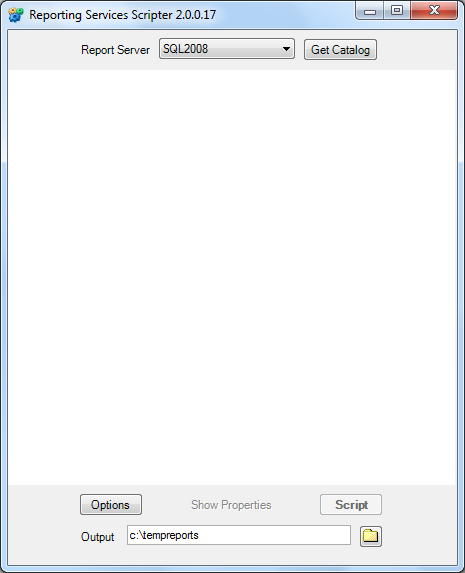 After long time googling I found the best industry freeware tool, Reporting Services Scripter, on sqldbatips.com. 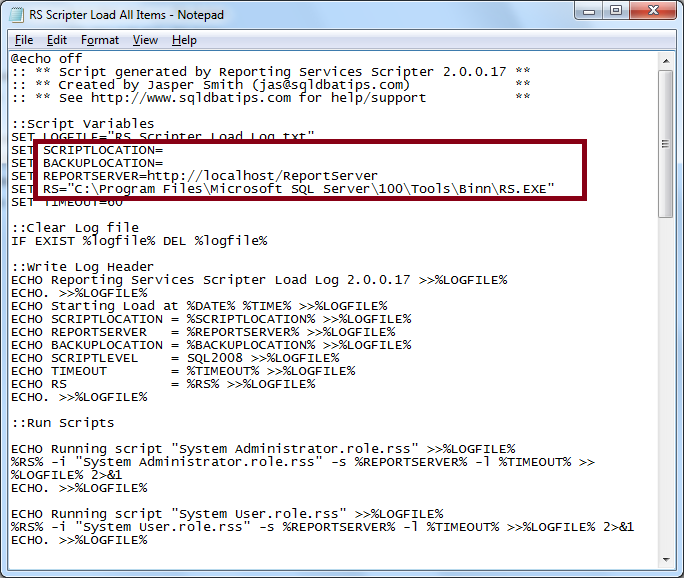 The Tool is developed by Microsoft MVP (Jasper Smith). Let's move on tool and dig and see the features. 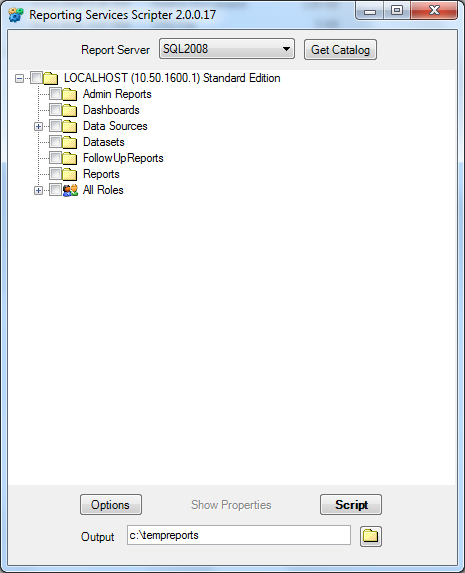 Tool is available with User Interface and Command-line application. 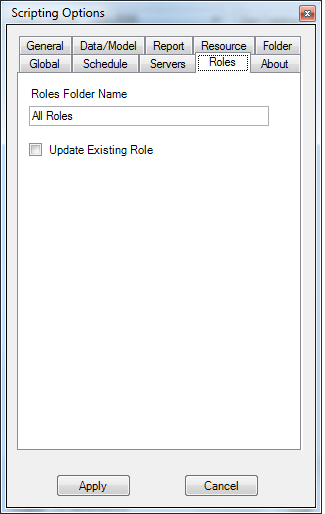 First set the Parameters to use application for Report transfer. It has facility to layman can set parameters easily. i.e. 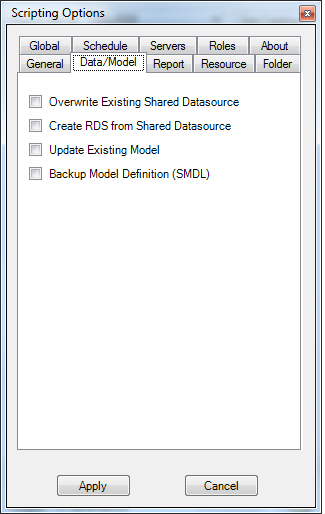 Objects which you want to export from server, where you wan to export, from which server you want to export etc. etc.. 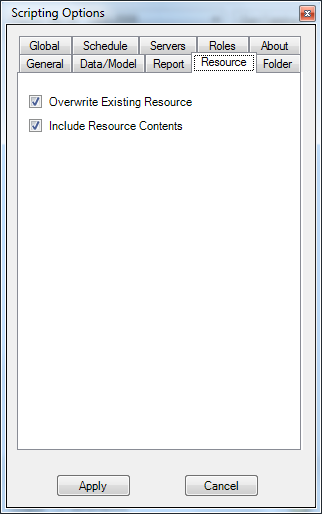 The application export all objects like folder, Data source, Reports, Data set etc. 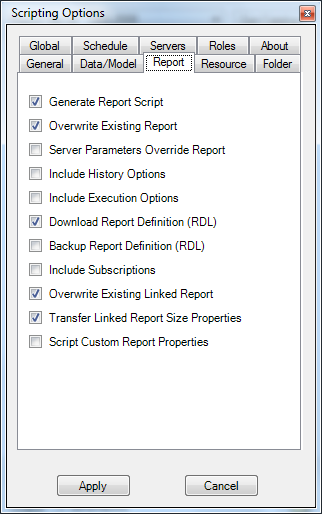 When you click on Get Schema will generate script in the specified folder and create user friendly (.bat) Batch file to load report and objects to another Report Server..
You can see the generated script folder structure as shown in image. 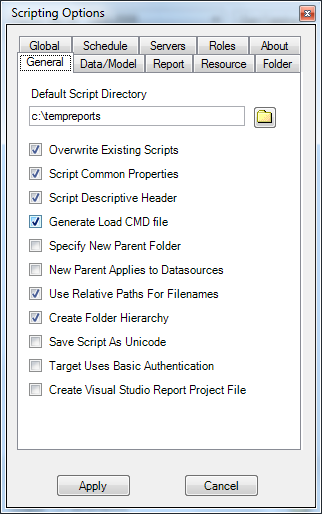 To move reports to another location move this files to destination server (Optional) or just edit the file (RS Scripter Load All Items.cmd) and set the path of script and destination server name => save it and execute. That's It for now. Hope you enjoyed and learned something new.